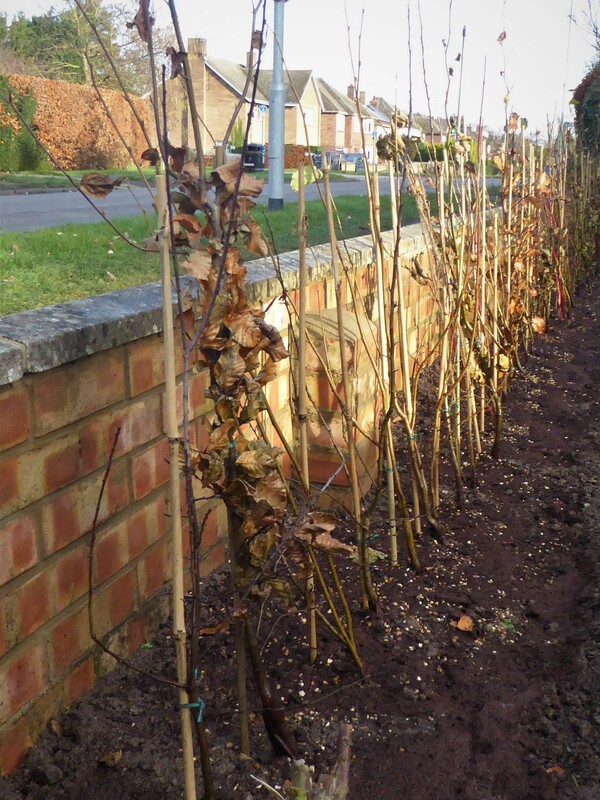 Today I have been planting a native mixed hedge on the last day of November. It consists of Blackthorn (Prunus Spinosa), Hazel (Corylus avellana), Hawthorn (Crataegus monogyra), Beech (Fagus sylvatica) and Hornbeam (Carpinus betulus). 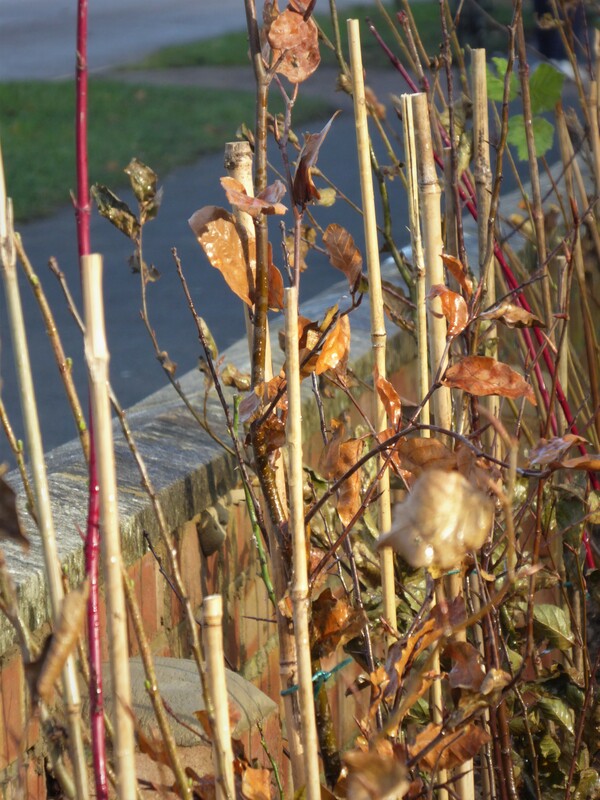 In addition to this basic native mix I have also added Rosa rugosa, Guelder rose (Viburnum opulus), Dog rose (Rosa canina) and Dogwood (Cornus sanguinea) to add some flowering pops of colour in summer – and, as you can see from the photo above, some brilliant red from the Dogwood in the winter, to harmonise with the caramel tones of the dried winter leaves of the Beech and Hornbeam. 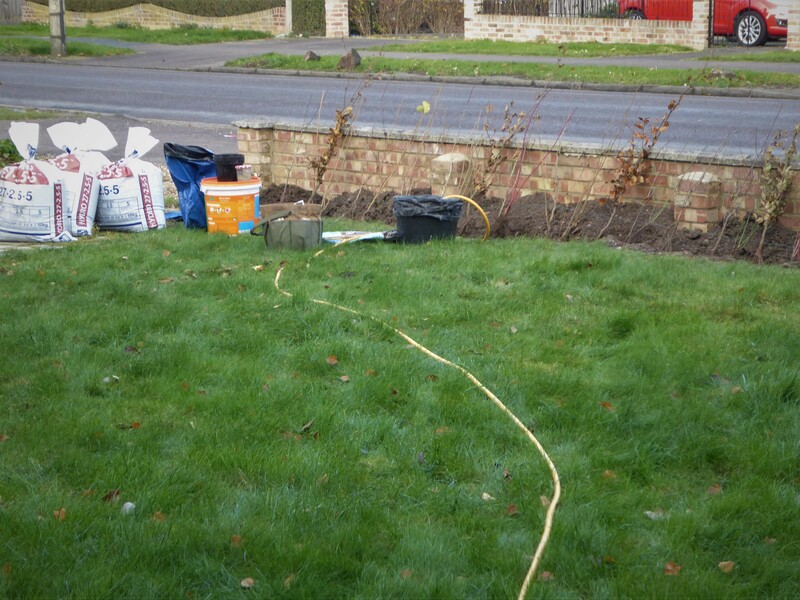 This is the hedging set out for planting in the pre-prepared trench, in temperatures close to freezing this morning (there was even a few specks of snow falling at one point)…. And this is the final planting – all finished and ready to become an asset to my client’s front garden.